After many years of writing for WWF and our efforts to create KAZA, a giant protected area spanning five countries in southern Africa, some might think there wouldn’t be anything left for me to learn. But as I found out while on Natural Habitat Adventure’s trip Botswana: Kalahari, the Delta & Beyond, there is always more to discover. Here are five of the top things that surprised or impressed me the most. 1. 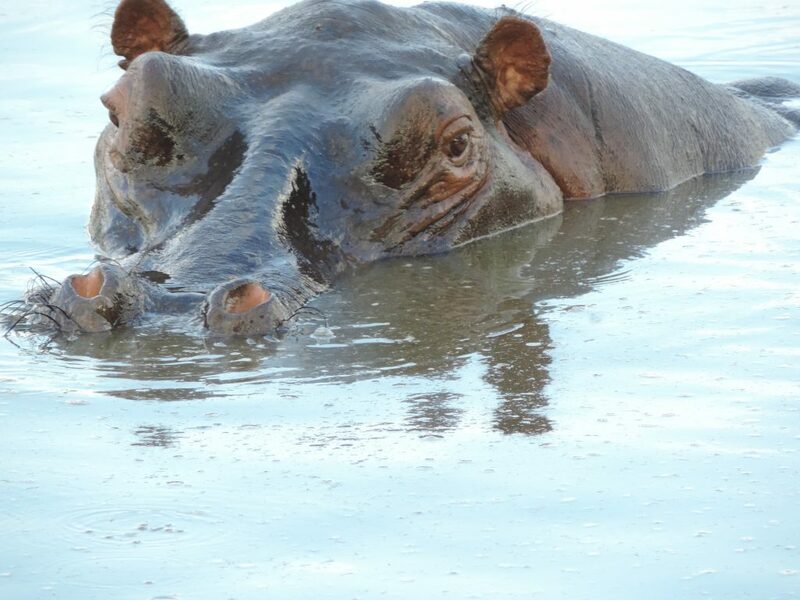 If you have to choose between running into a hippo or a leopard in the wild, don’t choose the hippo! They may look cute and peaceful just chilling out in the water, but hippos are feared more than almost any other animal in the KAZA area—even more than the large cats. These portly mammals are extraordinarily fit, strong, and fast, and they tend to be highly territorial and aggressive. They’ve been known to kill humans–and unlike big cats, they’re not doing it because they need food. Hippos are vegetarians. They’re just doing it because they don’t like you. A good deal of our trip was spent in the Okavango Delta, where each year, the Okavango River overflows and floods the arid Kalahari Basin, creating a system of many different tree-covered “islands” rich in wildlife. But what most don’t know is that a vast majority of the land on these islands was created by termites, whose mounds got big enough for trees and other vegetation to grow on and high enough for the water to surround rather than flood. So it’s no exaggeration to say that the termites built the delta system and are directly responsible for the biodiversity that thrives in them. So the next time you see a termite, say thank you for its hard work. 3. Everyone wants to see the Big Five on safari, but did you know there’s a Little Five…and an Ugly Five? 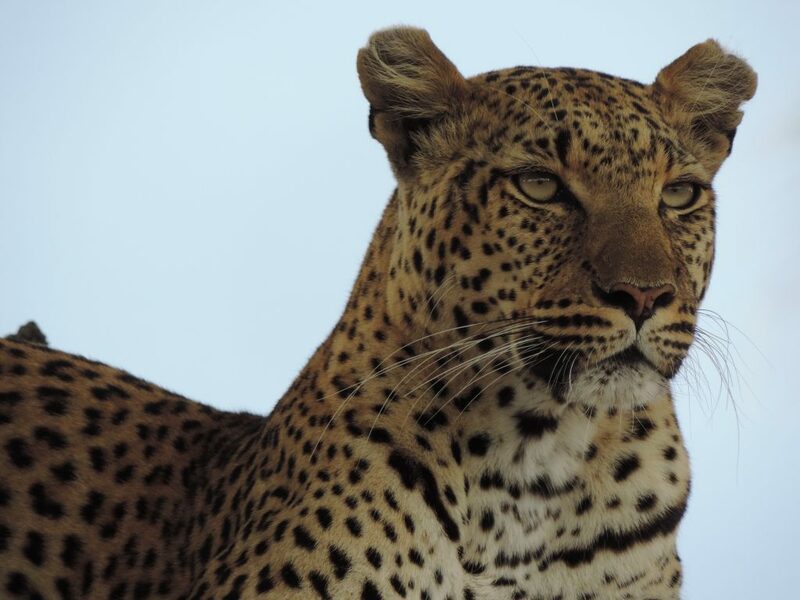 Every safari goer hopes to see the famous Big Five: elephants, lions, buffalo, leopards, and rhinos. But in KAZA, they have two other “fives” that are just as exciting to find. The first group is the “Little Five” – five small-sized species who share names with the Big Five: the elephant shrew, ant lion, red billed buffalo weaver, leopard tortoise and rhinoceros beetle. And then there is the poor “Ugly Five,” five fascinating-looking creatures that have been labeled the ugliest animals in Botswana (even though I personally think their quirky looks are adorable! 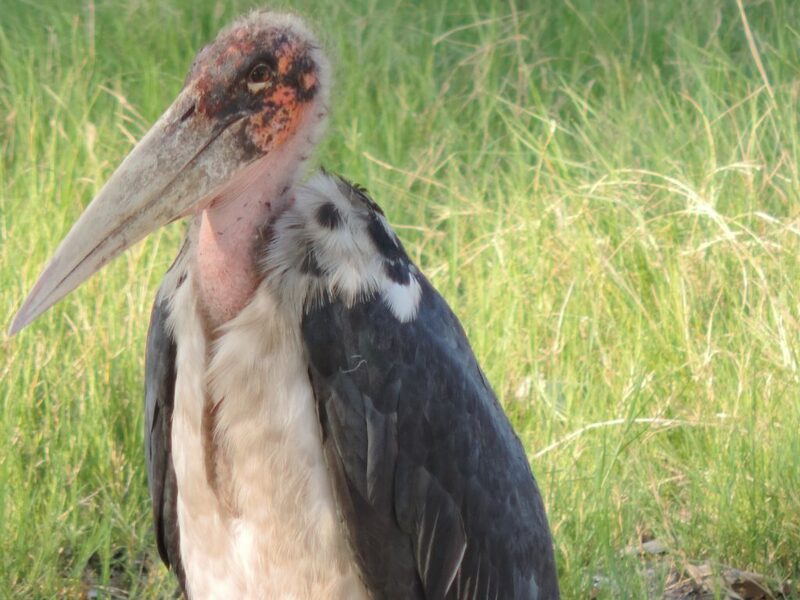 ): the vulture, hyena, wildebeest, warthog, and marabou stork. 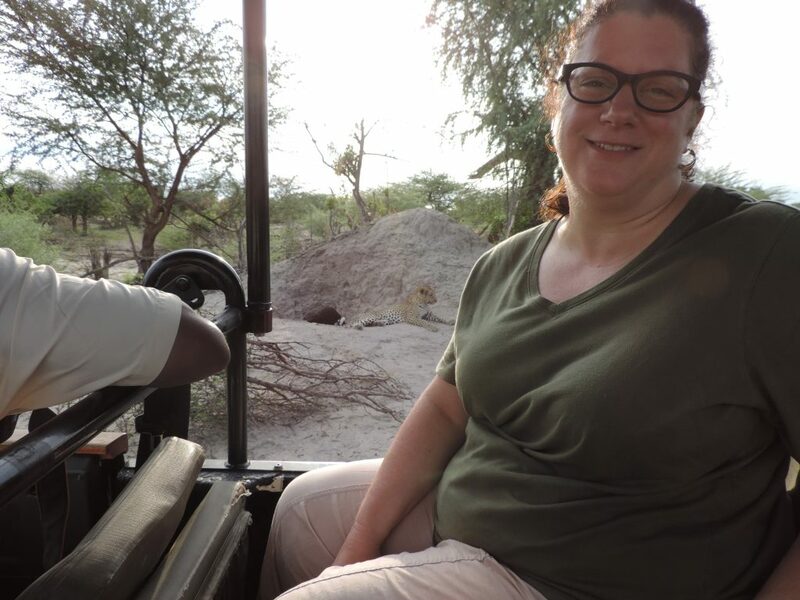 I’m delighted to say that on our trip we saw all of the Big Five and Ugly Five…and three out of five of the Little Five. I suspect we got such a high count because we were there during green season (more on that next). 4. Green season is very hot and unpredictably rainy, and that’s exactly why you might want to visit then. Our trip took place over the Christmas and New Year’s holiday season—the start of “green season” in KAZA. It’s an unusual time to travel, and not the top time for tourism. But that may be the best reason of all to go at this time. Sure, plans occasionally need to be altered due to an unexpected downpour, there are a few more bugs, and it’s super hot during the middle of the day (when both travelers and the animals take a siesta). 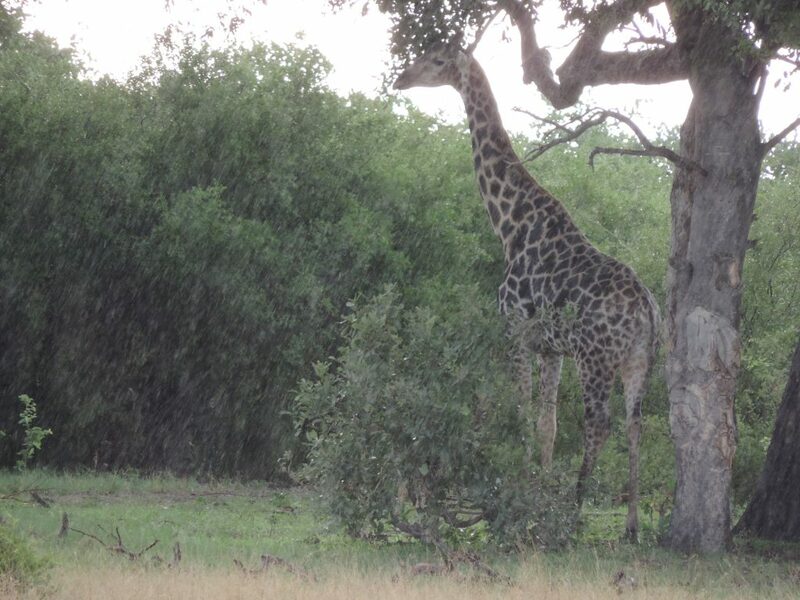 But trade these minor issues against how, after each rain, the bush and grasslands were just teeming with animals and bursting with greenery, with far fewer tourists competing to see it. And then there’s the “bush babies!” Green season is the time of year when all the animals are birthing. We saw babies of all kinds on our trip, ranging from elephants to steenbok to tortoise, not to mention endangered African wild dog pups and even a leopard mother walking by, carrying her newborn cub by the nape of its neck—a lucky sighting that even our very experienced Expedition Leader said he hardly ever sees. 5. Wild animals do not live a romantic, magical life. It’s a struggle to survive every single day. From the time we see our first Disney movie onward, those of us who love nature but don’t live in wild areas tend to romanticize their lives. We see perfect, glossy images of beautiful animals in nature magazines and documentaries. But that’s not really the way nature looks. One of the main realities this trip brought home for me is that life in nature is anything but romantic. The struggle to survive is constant for wild animals. Yes, all the animals we saw were beautiful and awe inspiring. But they were also anything but pristine and untouched like the images we see from so far away. Almost every animal we saw displayed some sign of the daily fight to survive. We saw buffalo missing horns because they’d been attacked by predators. We saw scratches and bites on many different kinds of species who’d gotten into scraps with other animals, fighting for food, territory, or survival. We even saw top-line predators like lions with injuries, including a male lion who’d had his leg dislocated in a fight with other lions. I’m not telling you this because I want to make you sad—survival of the fittest is a fact of life for these creatures. I’m telling you this because I think it’s important to realize that that’s how hard it is for them out there every day…and all that is BEFORE we add in all the threats caused by humans. And that’s what really hit me hard on the trip. These animals have a tough enough fight just to survive each day. But as humans, we’re making it harder for them, and we’re not making it a fair fight. That’s not right. We need to fix that. That’s why I’m so glad I work for WWF, where together I and you and all of us who care about wildlife can help ensure that human activity doesn’t cause any extra and unnecessary harm to these beautiful creatures who already have so much to contend with. 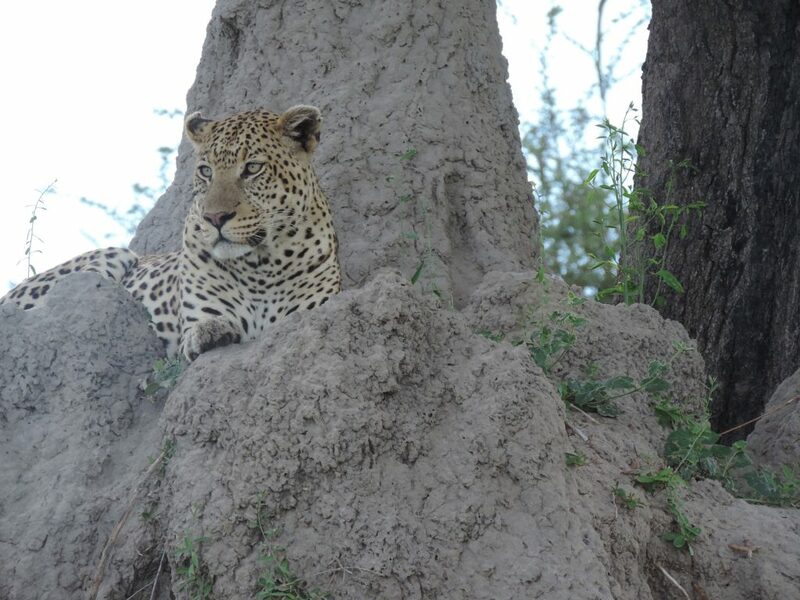 Thrilled by a leopard sighting within the Chitabe Concession, Southeastern Okavango Delta, Botswana (within KAZA). photo courtesy of Deborah Ackerman.